Either toast your pre-made waffles (as directed on the packaging) or make your Belgian waffles from scratch. We love this recipe from Epicurious here. 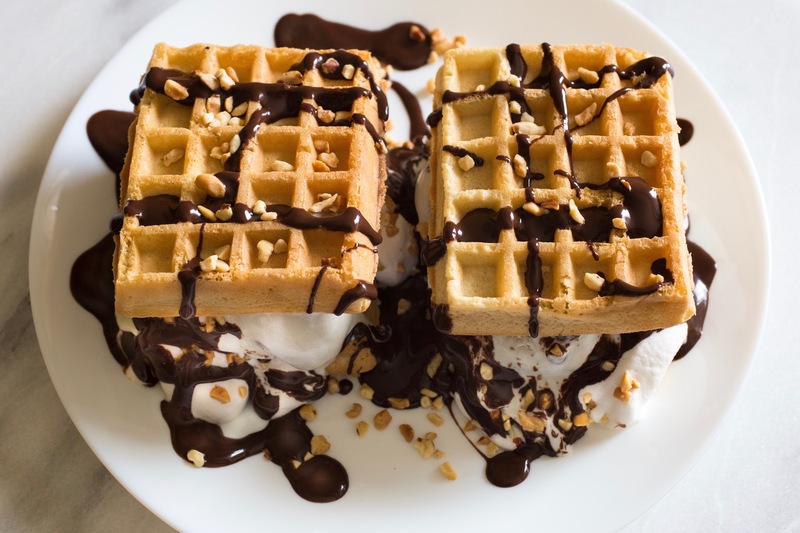 Wait for the waffles to cool…otherwise your ice cream will melt even quicker! 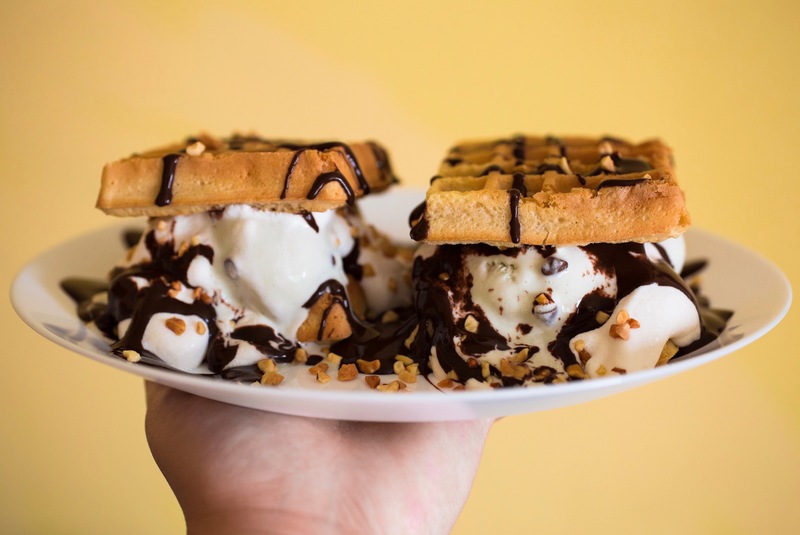 Once the waffles are cool, add about a scoop and a half or two of your ice cream onto two of the waffles. Layer some whipped cream over the top. Add some of your favorite toppings next. Place the other two Belgian waffles over and then drizzle the rest of your toppings. Don’t forget to share photos of your ice cream creations with us by posting onto our Facebook page or using the hashtag #CookingWithMollies on Instagram or Twitter. From July 12 through July 18, 2017, be sure to stop by Mollie Stone’s for our Ice Cream Extravaganza…it’s our biggest ice cream sale of the year! Stock up and stay cool for the summer! Let’s all scream for ice cream!